Classic and stylish, this stunning locket oozes timeless sophistication. 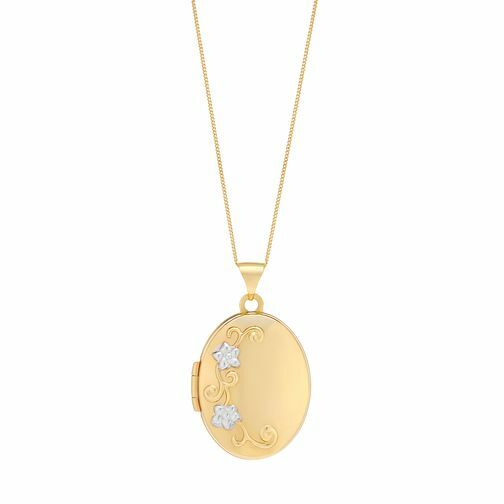 Set on an 18" chain and crafted from luxurious 9ct yellow gold, this elegant oval shaped locket features an embossed two tone floral design for a feminine finish. Colour of inserts may vary.